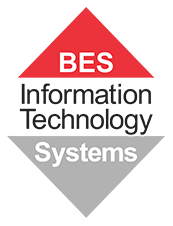 BES IT Systems is an authorised Apple reseller in Brisbane, Queensland. We assist our customers in the provision of all Apple end point devices, accessories and Mobile Device Management (MDM) solutions. Our most popular products in the Apple range are iPads and MacBooks. We offer extended warranties and volume pricing for our education customers. BES IT Systems is also one of only 5 Queensland-based businesses to be on the Education Queensland contract DET82061 to supply Apple products and related accessories to Queensland schools. EQ schools can purchase from us directly or via Purchase IT. We can procure all Apple products for your organisation! Request a call back by leaving your contact details and our local Brisbane-based experts will return your call within 3 business hours.